Net debt is a financial liquidity metricProfitability RatiosProfitability ratios are financial metrics used by analysts and investors to measure and evaluate the ability of a company to generate income (profit) relative to revenue, balance sheet assets, operating costs, and shareholders' equity during a specific period of time. They show how well a company utilizes its assets that measures a company’s ability to pay all its debts if they were due today. In other words, net debt compares a company’s total debt with its liquid assetsCurrent AssetsCurrent assets are all assets that can be reasonably converted to cash within one year. They are commonly used to measure the liquidity of a company. A company’s assets on its balance sheet are split into two categories – current assets and non-current assets (long-term or capital assets).. Net debt is the amount of debt that would remain after a company had paid off as much as debt as possible with its liquid assets. 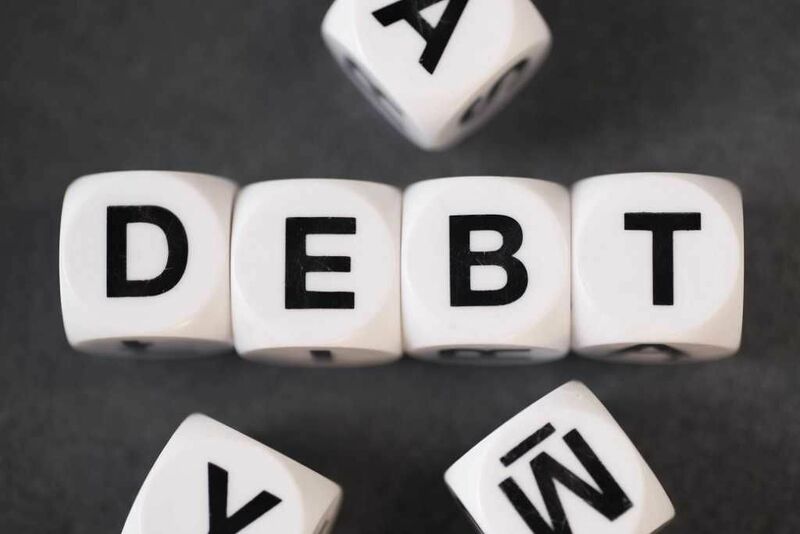 It is used to determine if a company can repay its obligationsDebt CapacityDebt capacity refers to the total amount of debt a business can incur and repay according to the terms of the debt agreement. A business takes on debt for several reasons, boosting production or marketing, expanding capacity, or acquiring new businesses. How do lenders assess how much capacity for debt a company has? if they were all due today and whether the company is able to take on more debt. Short-term debts are financial obligations that are due within 12 months. Common examples of short-term debt include accounts payableAccounts PayableAccounts payable is a liability incurred when an organization receives goods or services from its suppliers on credit. Accounts payables are expected to be to be paid off within a year’s time, or within one operating cycle (whichever is longer). AP is considered one of the most liquid forms of current liabilities, short-term bank loans, lease payments, wages, and income taxes payable. Long-term debts are financial obligations that are due beyond a 12-month period. Common examples of long-term debt include bonds, lease obligations, contingent obligations, notes payableNotes PayableA Notes Payable is a written agreement (a promissory note) in which one party agrees to pay the other party a certain amount of cash. Alternatively put, a note payable is a formal loan between two parties. The following information is contained in a note payable:, and convertible bonds. Cash and cash equivalents are the most liquid assets of a company. Common examples of cash and cash equivalents include marketable securities, commercial paper, treasury bills, and bank accounts. Company A reported a drawn line of credit of $10,000 and a current portion of long-term debt of $30,000. Long-term liabilities of Company A consist of a $50,000 long-term bank loan, and $50,000 in bonds. Current assets of Company A include $15,000 in cash, $10,000 in Treasury bills, and $15,000 in marketable securities. Below is a screenshot of the above calculation for Company A, along with two other companies. Company B has a net cash position and Company C has a zero balance. Net debt is simply the total debts of a company subtracted from a company’s most liquid assets. Essentially, it gives analysts and investors an insight on whether a company is under- or overleveraged. A negative net debt implies that the company possesses more cash and cash equivalents than its financial obligations, and hence is more financially stable. However, the debt metric should not be used alone to determine a company’s financial health. It should be used in conjunction with other liquidity and leverage ratios such as the current ratio, quick ratio, debt ratio, debt-equity ratio, etc. Companies that have little to no debt will often have a negative net debt (or positive net cash) position. A negative amount indicates that a company possesses enough cash and cash equivalentsCash EquivalentsCash and cash equivalents are the most liquid of all assets on the balance sheet. Cash equivalents include money market securities, Bankers Acceptances, Treasury bills, commercial paper, and other money market instruments. to pay off its short and long-term debt and still have excess cash remaining. It is used to measure a company’s financial stability and gives analysts and investors an indication of how leveraged a company is. Companies with a negative net debt are generally in a better position to withstand adverse economic changes, volatile interest rates, and recessions. As it can be a helpful indicator of financial health, investors use it when determining whether to buy or sell shares of a company. Nonetheless, it should be used in conjunction with other financial ratios to provide an accurate representation of a company’s financial health. The Enterprise ValueEnterprise ValueEnterprise Value, or Firm Value, is the entire value of a firm equal to its equity value, plus net debt, plus any minority interest, used in valuation. It looks at the entire market value rather than just the equity value, so all ownership interests and asset claims from both debt and equity are included. of a business is equal to its equity value plus its net debt. The reason that cash is deducted from debt is that it can be used to net out any amounts that are owed to creditors. For business valuation purposes, enterprise value is typically used. Learn more about enterprise value vs equity valueEnterprise Value vs Equity ValueEnterprise value vs equity value. This guide explains the difference between the enterprise value (firm value) and the equity value of a business. See an example of how to calculate each and download the calculator. Enterprise value = equity value + debt - cash. Learn the meaning and how each is used in valuation.